This unique dining table is part of the Carrocel Custom collection. 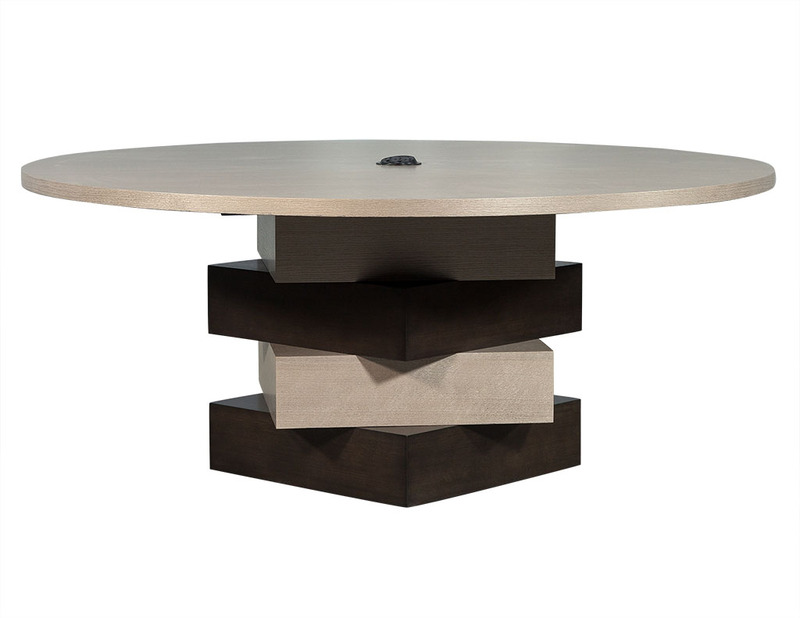 It is modern in design, sporting a circular top positioned on a base of twisted multi-layered set of boxes. 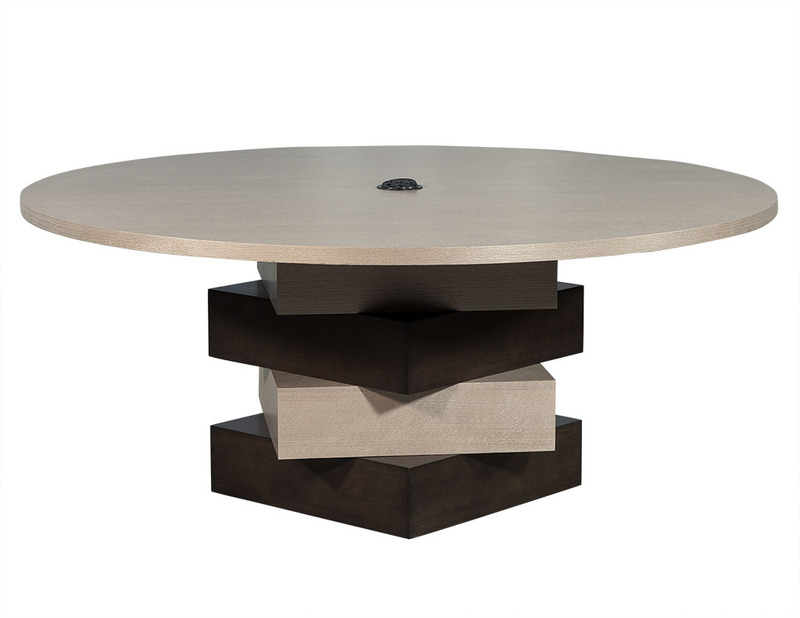 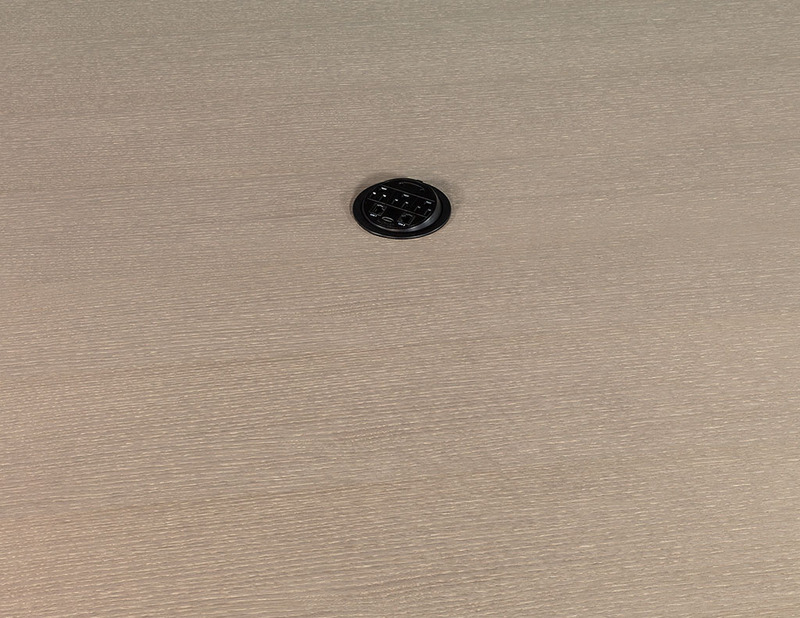 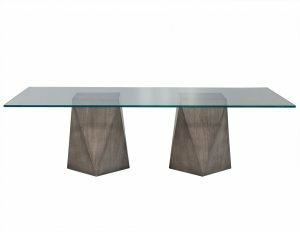 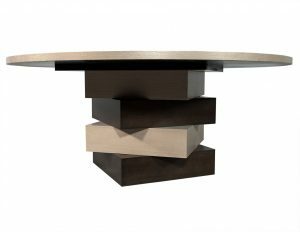 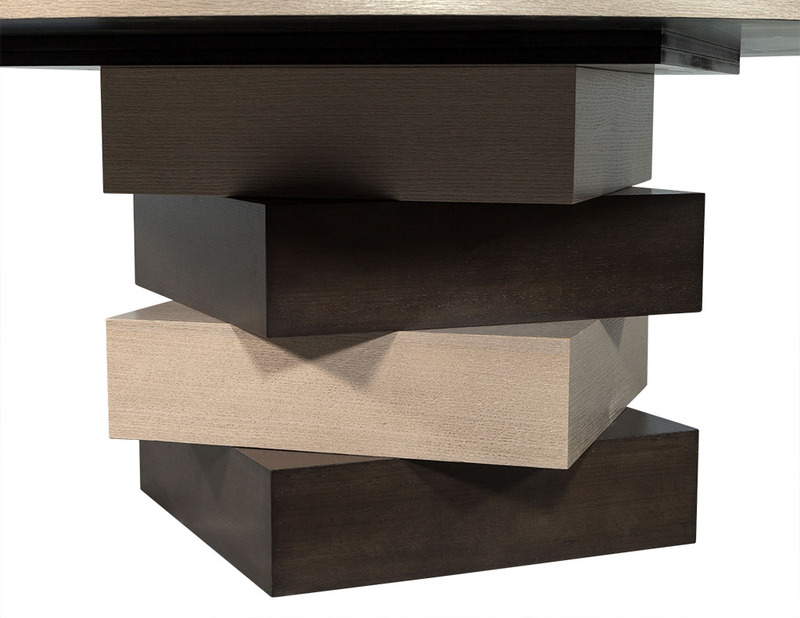 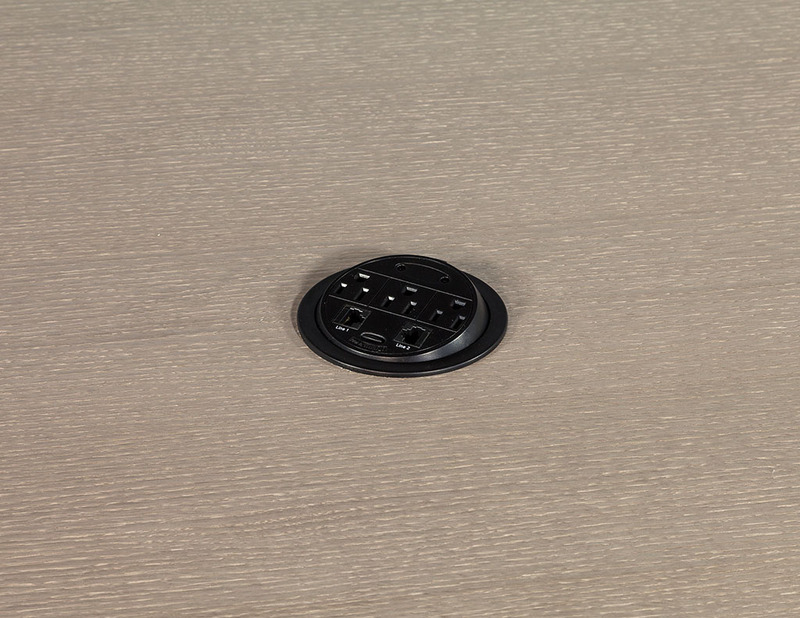 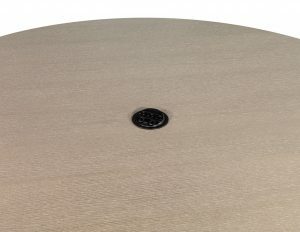 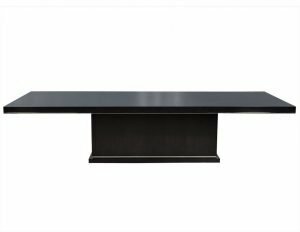 The top and base are coated in contrasting light and dark brown finishes, and the table has been outfitted with a digital hub in the center. 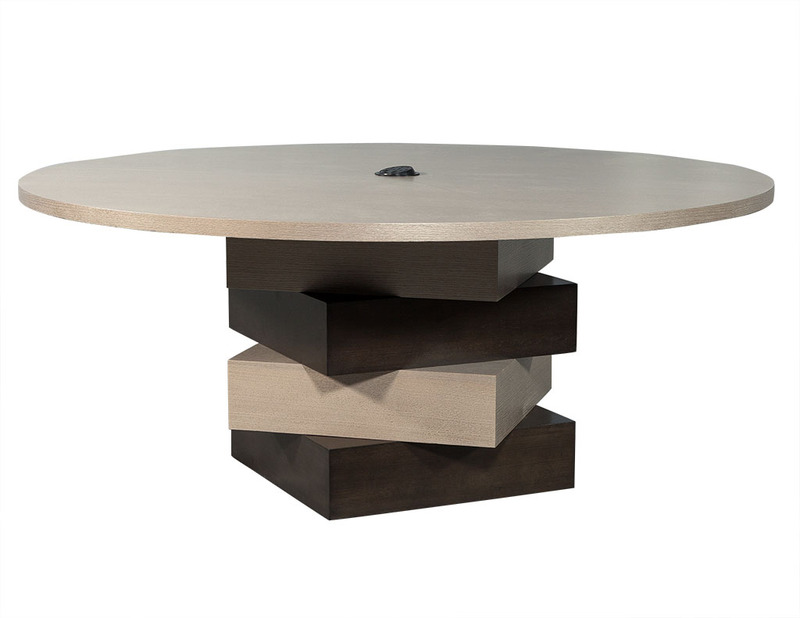 An exceptional piece for a daring dining room.